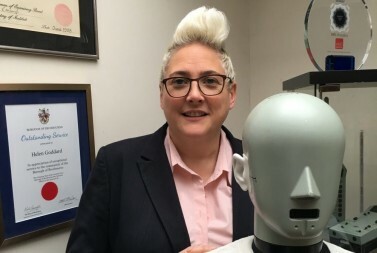 Conventional wisdom has it that two heads are better than one but between them Helen, Tony and Ed boast over 60 years’ experience within the field of electro-acoustics. Ed's passive nature is ideally suited to capturing data at remote sites at the dead of night and is often to be found on deployment in discrete locations. Whether based at railway station platforms, airport concourses or buried deep within a tunnel Ed's single minded attention to detail is beyond reproach. As an acknowledgement of AMS Acoustics' expertise many of the United Kingdom's major Architects, Contractors and Installers have successively appointed AMS to engage with them on many of their signature projects within a diverse range. From Mass Transit to Shopping Malls, from Sports Stadia to Tunnels the application remains a constant factor where speech intelligibility lies at its heart. This line up has been responsible for the fulfilment of major projects for over 25 years largely within the UK. More recently AMS has added a more global reach with assignments within the Middle East, Asia and South America. It has been rewarding to find that major overseas organisations have come to appreciate the professional contribution that AMS Acoustics can deliver to prestigious sites across the globe. Ed is perhaps not always the most vocal member of the team but his very presence testifies to the level of technical equipment that the practice provides in pursuit of excellence. Anything you wish to add Ed?